On occasion, we are asked to manage the renovation of a pumping facility and can offer the service of Project Management. This can cover removal of old pumps, testing of reconditioned or new replacement pumps, refitting on site and commissioning. 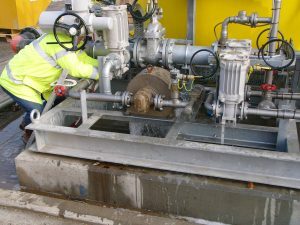 Contact Albany Pumps to discuss any projects you may have like this. A typical example we have carried out concerns the reconditioning of aircraft fuel pumping installations.